Marlon James, author of the 2015 Man Booker Prize-winning Brief history of Seven Killings, argues that it is not enough to be ‘non-racist’. We might feel mortally secure in our non-racism by not doing or saying anything overtly racist, but James urges us to evolve from non-racists into anti-racists, to challenge the inherent racial discrimination that is woven into our cultural and institutional fabric. Prevailing whiteness is a core feature of our social structure, reinforced over centuries, and cannot simply be sidestepped. Compiling a lexicon of racial slurs and eschewing their use is far from being enough. Anti-racism doesn’t call for the simple avoidance of racism; it insists upon an active search and disarmament. By highlighting these quotidian micro-aggressions, Rankine asks the reader to position themselves in the scene, to consider their own actions and reactions, to self-implicate. The book’s second-person point-of-view cleverly removes the distance between the reader and the victim; the reader becomes the victim. Only then does the complicity of seemingly well-meaning people (us) become apparent. As with its contemporary, the National Book Award-winning Between the World and Me by Ta-Nehisi Coates, Citizen’s profound success comes from asserting the relevance and heart-breaking reality of racism in the most emotionally visceral ways to those who aren’t ordinarily victims of it. As with her previous book, Don’t Let Me Be Lonely, Rankine employs a form she calls ‘an American Lyric’ ­– a hybrid of techniques masterfully employed to create a poetry of activism. The American lyric can be traced back through Robert Hayden, Audre Lorde and Etheridge Knight, and their ability to convey the African-American experience, and has a similar flavour to the political/philosophical/critical prose poetry of Maggie Nelson. Like Rankine, Nelson began her career writing poems that adhere to a more traditional idea of the form but now embraces a cross-genre style that resists pigeonholing to create books brimming with ideas and calls-to-action. The uncertainty surrounding Citizen’s form – and the certainly of its quality – is exemplified in the long list of awards the book has won on both sides of the Atlantic, claiming the Forward Poetry Prize for Best Collection and the National Book Critics Circle Award for Poetry but also claiming titles in categories as diverse as best nonfiction, best criticism and best politics book. Debate has continued over whether Citizen is poetry, some preferring the labels of lyrical essay, memoir, meditation, mixed-media non-fiction, political treatise, etc. This is irrelevant: these are poems because Rankine, the poet, identifies them as such. Moreover, the magnificent power of the book lies not in its form but in its message. The text is spliced with art and photography, from J. M. W. Turner’s painting “The Slave Ship” to scene of smiling white people at a 1930s lynching in the Southern States of America, which provide added context and despair to the poems. They serve to illustrate just how deeply ingrained racial fear and hatred are in our communities, and just what a monumental effort it will take to expel them. Originally released in 2014, in the wake of the murders of Michael Brown and Eric Garner, it feels as though little has improved. As we fight through the xenophobic aftermath of Brexit and President Trump’s executive order to ban incoming visitors (and US residents) travelling from Muslim-majority countries, Citizen is as relevant as it ever was. Too often collections of contemporary poems are labelled with the unwarranted platitudes of urgent, important, necessary, but this book truly is urgent, important, necessary and, essentially, uncomfortable. This is how literature can push back against its environment. Most hauntingly, perhaps, is that the book refuses completion. ‘In Memory of’ is a poem that lists the names black men killed by the police, and which grows with every new edition and reprint. Unoccupied spaces run down the page, fading through the grey-scale, waiting to be filled by another unjust tragedy. 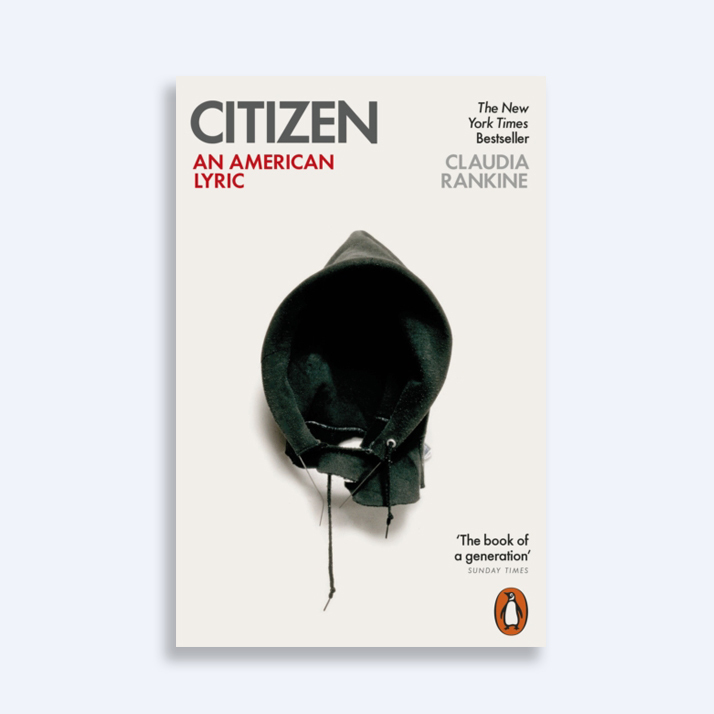 If the merit of literature can be gauged upon its ability to alter the reader’s view of the world, catalysing self-inquiry and reordering personal values, then Citizen: An American Lyric is of the highest order. Tim Craven is a PhD student at the University of Edinburgh studying Creative Writing. He previously worked as an assistant agent at New York literary agency, Writers House. Between 2012 and 2014 he edited the literary journal, Salt Hill.